CyberGhost VPN a leading provider of VPN services has announced the launch of a dedicated Amazon Fire TV Stick app. The app which works with both Fire TV and the more portable Fire Stick devices adds to the already large app offering from the popular VPN provider. The launch signals CyberGhost VPN’s commitment to making their service available across the widest range of devices possible. It also makes them part of what is a somewhat exclusive club as fewer than 6 providers worldwide currently offer dedicated Amazon apps. Traditionally users of the Amazon Fire TV and Fire TV Stick have needed to use workaround methods to sideload Android apps onto their device. This has often been problematic because the interface is not designed specifically for the Amazon devices which can cause navigation issues. CyberGhost VPN have solved these issues by releasing their dedicated Amazon app allowing you to protect the privacy of your Amazon device. More importantly, the app will allow you to unblock and stream geo-restricted content from around the globe. Almost all devices and streaming services these days are geo-restricted in some manner. This stops you from accessing your favourite TV from overseas or while you travel overseas. The CyberGhost VPN app for the Amazon Fire TV Stick aims to do away with this allowing you to hop the geo-fences and stream content and services from across the globe. For example, if you had a UK purchased Fire TV Stick and you wanted to watch British TV services in Australia you would be able to with the new CyberGhost VPN Amazon app. 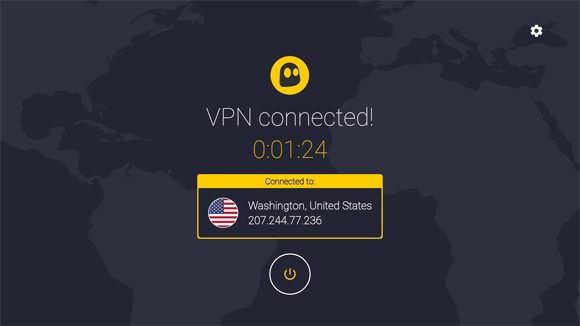 Or you can download apps from overseas by firstly changing your Amazon region, downloading the required app and then using the CyberGhost VPN app to mask your country. This allows you to stream content from around the globe. The new Fire TV Stick app from CyberGhost VPN forms part of their standard package which means as a subscriber you get access to their full network of services across your entire range of devices. As well as launching their dedicated Amazon Fire TV Stick app CyberGhost VPN has extended their money back guarantee to an industry first 45 days. This means you can test the entire service fully for up to 45-days risk-free. If you find the service isn’t for you or isn’t doing what you need it to then it’s simply a case of getting your money back. 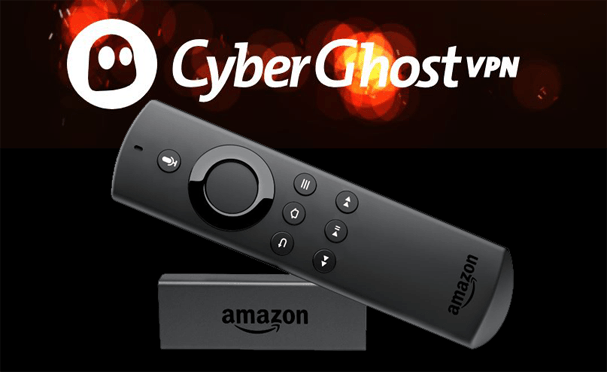 If you’re interested in checking out CyberGhost VPN’s new Amazon app for the Fire TV or Fire TV Stick visit the link below and sign up for their risk-free service.